Why would we want a new Logo ? A great logo represents your company, it send a message to your viewers and customers, you will want for them to feel what you are trying to express with your company. The logo should emphasize your company’s strengths, and reflect your core business values so you need to create a professional one to make a positive impact on the website or any other business material. This will be your company’s brand and identity which is crucial for a successful business. All thanks to a branding agency that took charge of every step of blending our business personality and goals to a graphic design for our customers and possible viewers. With this logo we were redesigning for our existing website, our last logo appeared misplaced and it wasn’t making a good impact overall in the performance of the website. Here we were able to cover every aspect in detail, covering aspects of the brand which were guideline to make the final product, from logo variations, typography guidelines, colors, graphic elements and many others. This will reflect our new process and update our business. Now you can find this logo in our business cards, letterheads, website, and all our company materials, to achieve consistency and to reach everyone and make them remember with a small graphic the importance of our company. The Athol-Royalston Regional School District serves over 1700 students in the North Quabbin region of Massachusetts. We are committed to providing a challenging educational experience that inspires students to acquire the knowledge and skills to become responsible citizens in the global community and we wanted this logo to represent every aspect of this community, so people would feel comfortable and connected with it. 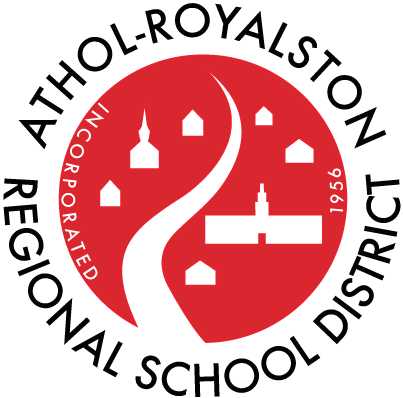 The Athol-Royalston Regional School District in partnership with the community provides a safe, innovative, and vibrant learning environment for all students. It is about movement and dynamic relationships, so we needed something vibrant and with energy, a friendly message to give our community and to make sure everyone was understanding and engaging with the school, even the ones who don;’t know about it but just with the first look will want to know more and come across more information. This entry was posted in Mr. Tamulevich, technology. Bookmark the permalink.